Back in October I was lucky enough to attend a brush lettering workshop courtesy of the lovely folks at Etsy (see my post about it here). They were kind enough to give us some lovely goody bags, including a voucher to spend on something beautiful for our homes. I have been following Jade on Instagram for a while – she is a fellow Norfolk dwelling gal! 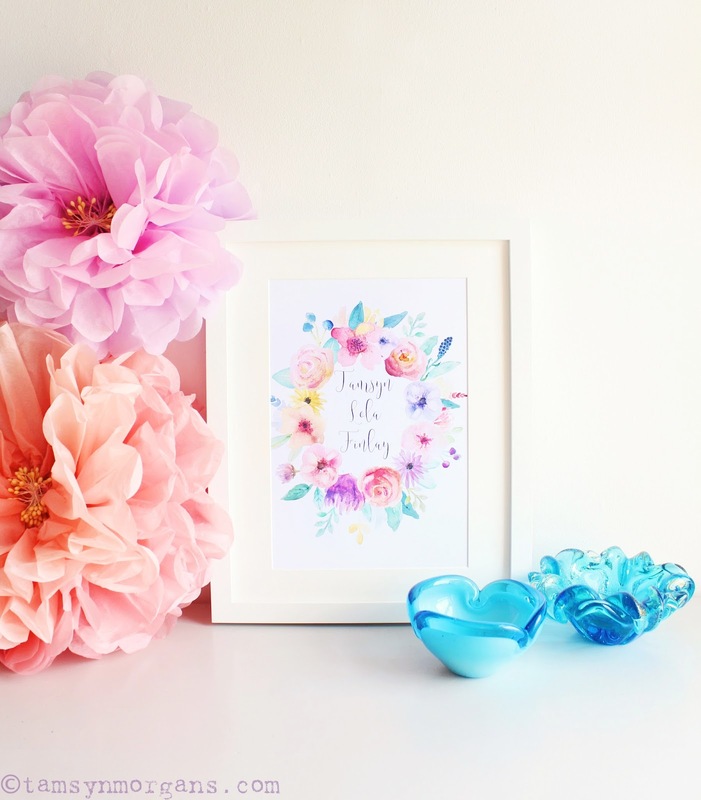 She now sells her beautiful prints via her Etsy store Sweet Pea Paperie, along with party invitations and wedding stationary. I was looking for a couple of whimsical, pretty prints to go in my dining room to add to my gallery, so when these prints popped up on my feed, I knew I had to have them. 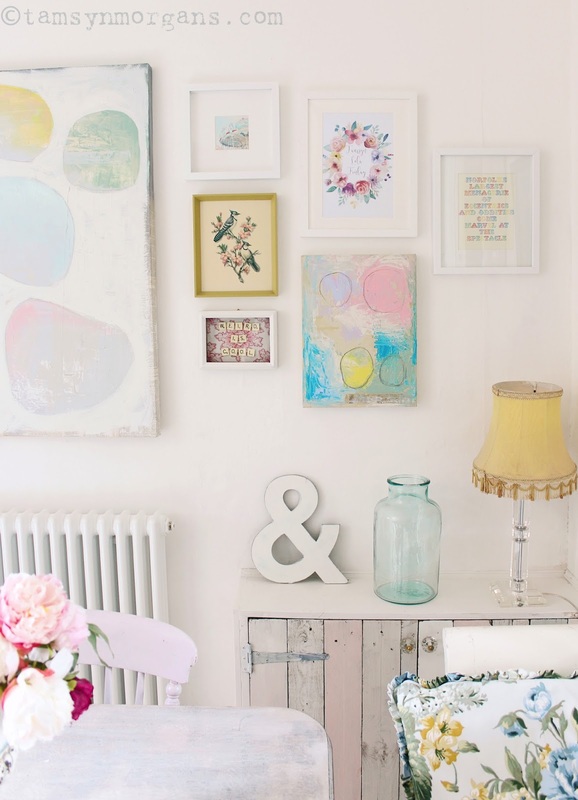 Always a lover of the eclectic, I love to mix vintage art with prints in crisp white frames, and anything with a floral wreath and calligraphy floats my boat. I really love the personalised aspect of this too, and Jade has lots of prints that can be personalised. 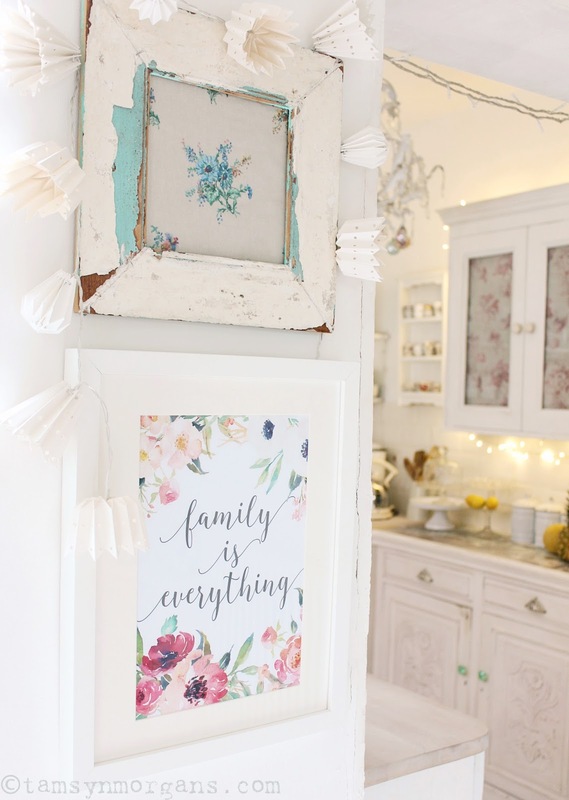 I also bought the ‘Family is Everything’ print to go on the other wall in my dining room, which I think looks super cute underneath my rustic frame I bought in Cape Town a few years ago. I hope you all have a wonderful weekend – I am keeping my fingers crossed that the weather will hold out so I can go treasure hunting tomorrow morning! I have only just seen this Tamsyn, such amazing photos, and wonderful post. Thank you so much!